2012 was a very expensive and busy year for toy collectors. There was a lot of awesome, and a whole lot of crap. So as we move into the new year, let's take a look back at some of the best, and worst, aspects of the hobby in 2012. What were the most surprising and disappointing releases of the year? What was the most awesome toy of the year? What happens when all six of the One Per Case crew hang out in a garage drinking beer while trying to compile this list? Find out after the jump. Yeah, when you get six different toy collectors, with six different sets of interests, in a room and try to agree on a list of the best and worst of the year, there's going to be some ...interesting debate. We probably should have just video'd that and posted it instead of this article, but we didn't. So while we didn't agree on everything, here's the stuff that we mostly agreed on. Hasbro's utter lack of communication with fans & collectors. Remember when Hasbro used to do bi-weekly Q&A sessions with the major collecting sites on all of their major action figure lines? Then it went to tri-weekly. Then monthly. Then bi-monthly. Then they just disappeared altogether. No announcement, no acknowledgement. They just stopped keeping us collectors informed on what was going on in their lines. Even their panels at the cons this year were horrible. The only thing Hasbro really told us, by not telling us much of anything, is that they don't care about us collectors the way they used to. Hasbro's reduced articulation across many of their lines. I don't mean to pick on Hasbro here, but I kinda do. Sure, a lot of Mattel's figures don't exactly have great articulation either, but they've at least been consistent. Hasbro has shown us over the past decade that they're capable of innovating and upping the ante when it comes to articulation, releasing better and better figures all the time. Then this year, they took us back to the 90s. The Avengers, Amazing Spider-Man, G.I. Joe, even Star Wars all saw cuts in articulation. And the return of the T-crotch. Yuck, Hasbro. The reduced size and inflated cost of Transformers. Almost overnight, the price on deluxe-class Transformers shot from $10-$12 to a whopping $15-$16. And they got smaller. I understand the rising costs of petroleum and production, but this was a bit dramatic. And it was the easiest way Hasbro could have gotten many of us to curb our Transformers purchases this year. Guess what Hasbro? It worked. Mattel is still using Digital River for their online sales operations. After years of horror stories about Digital River completely screwing up everything from charges to shipments, including a few issues experienced by Jason and Brett this year, the fact that Mattel still uses Digital River is basically a big middle finger to collectors. Star Wars Vintage Collection Distribution. This year was basically a repeat of 1999 all over again, proving that Hasbro is incapable of learning from their mistakes. In January 2012, the Phantom Menace wave hit, and promptly clogged up the retail channels, preventing almost all future shipments of subsequent waves in most areas. Marvel Universe Distribution and Case Assortments. For Marvel Universe, Hasbro doesn't even have the excuse of clogged pegs preventing further distribution. They literally just dropped this line for about nine months. They canned David Vonner at the end of last year, shipped absolutely zero product until August, and had almost nothing to show or say at Comic Con. Then to top it all off, once product did start flowing again, they reminded us how boneheaded their case assortments can be by putting the crappy old Hulk in the same case with two of the new and improved Hulk. That made lots of sense. It's no wonder that so many collectors believe this line will be ending in 2013. The Avengers 4" Line by Hasbro. Another victim of Hasbro's new and reduced articulation, plus a ton of missed opportunity to get out some great comic characters left this line feeling half-assed. There were a few good things about it, but a ton of bad. In the end, I'm not angry Hasbro, I'm just disappointed. No Black Widow in The Avengers 6" Line. Ok, this I am angry about. Does Hasbro not realize the pent up fan demand for this character ever since she appeared in Iron Man 2? Hasbro often uses the "boys don't want figures of girls" excuse, but come on. This was a collector line. The 4" line, which was obviously NOT designed for collectors, had a Widow. So why not the collector line? There's just no excuse for this. It shows how out of touch with collectors Hasbro actually is. The Helicarrier. The SDCC version of the Hellicarrier was a huge surprise, and very awesome in many ways, but after months of sitting on a shelf, I can't help but feel like it's not even close to being worth the cost. There's almost no play functionality to it at all. This really should have been a multi-level, fold-out playset like the G.I. Joe ROC Pit playset, but instead, it's a flimsy plastic board with a few spring loaded missile launchers. I didn't buy the retail (smaller) version, but I imagine that one doesn't feel like a better value either at the ~$70-$80 price. G.I. Joe Retaliation. The reduced articulation across Hasbro's lines stings the most here. G.I. Joe has always been the leader in articulation. I was putting these guys in awesome poses when I was a kid while Star Wars figures still only had five points of articulation. So to be getting the majority of our figures now in 2012 with no ankle or wrist joints is an insult to Joe collectors. The T-crotches and 5-POA driver figures in this line are even worse. Then to make it even better, the line gets shelved after the movie's last minute delay, leaving us with very little Joe product this year. At least it looks like we're in for some good stuff next year. Price Jump on Star Wars Millennium Falcon. A couple years ago when the "Big Millennium Falcon", aka the "BMF", was released, it retailed for $150. That was when it was brand new. 16 lbs of awesomeness. Now it has been re-released, and is identical to the original release except for the "Vintage" collection box, but the price has shot up to $250. There was no new tooling or development costs this time, so why the $100 jump in price? Yes, Toys R Us exclusives are usually a little pricey, but this is just disgusting. Special Mention for the Biggest Fallacy of the Year: Star Wars Vintage "Best Of" Case Assortment. Technically, this case assortment won't be out until next year, but it's all figures that should have been released this year. Hasbro's marketing department has positioned this as if they're doing collectors a favor by releasing more of the most popular and sought-after figures of the year, but even an idiot can see that this is just their trying to get out the product that got clogged up in distribution after the Phantom Menace fiasco of 2012. The Chitauri. The Avengers line was full of disappointments, but none were as bad as this figure. He had ankle joints, but no knees, or elbows. He couldn't hold his own weapon that he came with. He couldn't be put into any sort of pose that resembled anything close to an "action figure". And the biggest slap in the face, was that the prototype shown on the package actually did include these joints. This went beyond disappointing, passed terrible, and became plain old false advertising. Hasbro should actually be ashamed of themselves for this one. The Amazing Spider-Man 4" Line by Hasbro. This line has to have earned some sort of peg-warmer award this year. There was one decent figure in the whole line. The rest all featured T-crotches with minimal articulation. The Dark Knight Rises 4" Line by Mattel. I don't want to pick on Hasbro exclusively. 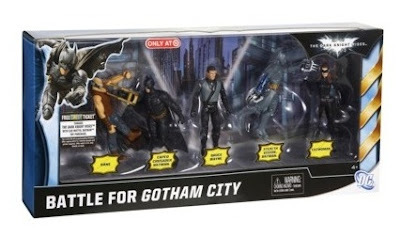 Mattel's TDKR line obviously wasn't targeted at collectors, but it was insulting even to kids. I had better Batman figures when I was 7 years old. These figures were poorly articulated, horribly sculpted, atrociously painted, and weren't worth their cost to produce, let alone the retail price. There's a reason why we don't have a link for them. We wouldn't waste the time to review them. So now that all the negativity is done and out of the way, lets move on to better things. It wasn't all bad in 2012. On the flip side, here are the most surprising things we saw this year. Surprising in a good way. Increased articulation in the Marvel Select line by Diamond Select Toys. I've never been a Marvel Select collector, preferring the Legends and Universe scales personally, but man it was hard to not go all in on this line this year! DST really raised the bar for themselves, upping the quality of their sculpting AND their articulation. The movie figures were especially impressive. And I cannot wait for the Eddie Brock Venom coming early in 2013. Well done, DST. The Marvel Legends Extremis Iron Man Can Play Twister. Yeah, we're all probably at least a little sick of Iron Man figures at this point, but this one really is underrated. As far as articulation and poseability go, this guy is a class act. When he was first revealed, many assumed he would be a bigger version of the mediocre Marvel Universe version. Not so. If you only want one comic version of Iron Man in your collection, this is the one to get. Dollar Joes! Normally, the action figures you find in dollar stores are cheaply made, under-articulated junk. The same has even been true of dollar store G.I. Joes in the past. But not this year. These figures were amazebawlz. Modern takes on some of the classic Joes from our childhoods, this was the redeeming aspect of the Retaliation debacle this year. GI Joe 30th Anniversary and the Minor Characters. And we don't mean that Renegades garbage. True, this line technically started in 2011, but 2012 was the anniversary year, and this is when we saw this all too brief line end. It was highlighted with such amazing releases as the Wave 3 Storm Shadow, and some surprisingly awesome modern takes on more minor classic characters, like Sci-Fi, Lifeline, Law & Order, and Airtight. Why can't all G.I. Joe lines be this rad? 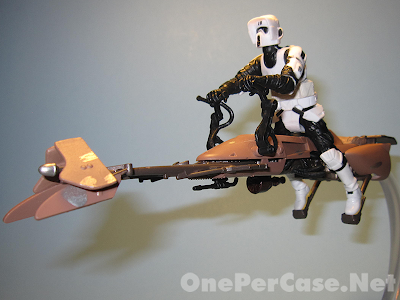 Star Wars Speeder Bike. We've had a lot of speeder bikes in the Star Wars line over the years, but this year, Hasbro went back to the drawing board and delivered an all-new, completely improved Speeder Bike sculpt that was incredibly movie accurate, properly scaled for the included Biker Scout figure, and included a clear flight stand, which we'd never seen before. You could even pop the hood and check out the bike's engine. 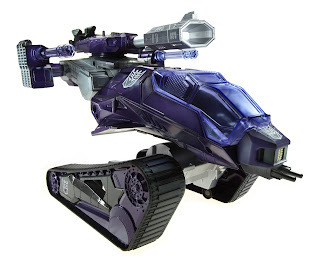 Hasbro put a lot of thought into the design of this vehicle and it shows. After expecting more of the same old stuff, this release was an awesome surprise. Square Enix Play Arts Kai Arkham Asylum Batman and The Joker. Square Enix has been doing some great figures for years now, but these were the ones that got me sucked back into their line this year. These figures are not cheap, being imported from Japan, but they are worth every penny. Highly articulated, amazingly sculpted, beautifully painted, AND they include a bunch of accessories. Figures like this spoil me for all others. The Lost Tribe. The Predator movie franchise has been one of my favorites since childhood. I've collected Predator figures from other toy companies in the past, but they don't even come close to comparing to NECA's figures, with their incredibly detailed paint and sculpt work, their high level of articulation, and their terrific accessories. This year has been the best for the line yet, with NECA giving us the ENTIRE Lost Tribe of Predators, only briefly seen at the end of Predator 2. The fact that NECA would give us so many extremely minor characters shows their love and commitment to the franchise, and the fact that all of them were immediately snapped up in stores upon release is a testament to the outstanding quality of the line. In my semi-professional, completely biased opinion, this might just be my favorite toy line of the year. NECA. Staying on the love-for-NECA theme, NECA themselves were one of the best aspects of action figure collecting this year. Unlike some toy companies that don't interact with their fans at all (coughcoughHasbrocoughcough), or those that begrudgingly give smart-assed answers to their fan base through periodic Q&A's (coughcoughMattelcoughcough), to anyone who follows NECA on Twitter (@NECA_TOYS) it should be immediately obvious that these guys love their craft, and love their fans. Randy from NECA maintains near constant contact with fans, answering questions, giving sneak peeks into upcoming products, and sharing more Behind-The-Scenes photos than you can shake a combi-stick at. And their products show how much they love what they do. Everything these guys put out is first class work. Even the stuff from the franchises I'm not really into are almost impossible not to buy. NECA is in touch with their fans, they know what the fans want, and they consistently deliver. For all these reasons, NECA was one of the best parts of action figure collecting in 2012. CnC Bat Signal and Hall of Justice. Build-A-Figures/Collect-N-Connect figures aren't exactly new at this point, but Mattel managed to bring a fresh take to the concept this year with a couple of key pieces that gave us some excellent background for our figures. The DC Young Justice figures weren't exactly spectacular on their own, but the 12-piece CnC Hall of Justice definitely was. 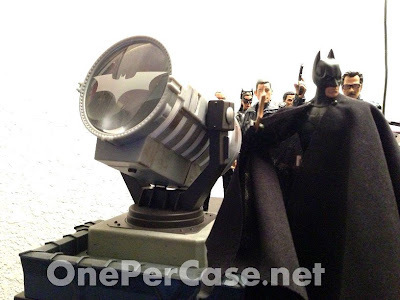 And while the Dark Knight Rises Movie Masters figures weren't bad, how many of us bought all six (seven, if you were lucky enough to find Jim Gordon) just to build the Bat Signal? This might be the most awesome CnC piece ever, and adds so much more value to the line. Classic Ninja Turtles! Seriously. You can't be an 80's kid and NOT love these figures. Playmates brought TMNT back in a big way, catering to new fans and old fans alike, and the Classic Turtles are basically all of our childhoods in plastic form. The Hulk from The Avengers 6" Line. The whole six-inch Avengers line was pretty good, but like his on-screen counterpart, this Hulk stole the show. Great sculpt, great articulation, he was an all-around amazing figure. It's just a shame that he was so hard to find for so long. When figures are this great, there's no reason why they shouldn't be available in huge quantities. Marvel Legends X-Force Box Set. As mentioned above, the RoML line knocked it out of the park this year, and the SDCC-exclusive Uncanny X-Force box set, featuring Wolverine, Archangel and Psylocke, was no different. Great sculpt, great paint, and probably the best looking Wolverine figure we've ever had. If you didn't get one of these, you really did miss out. Luckily, Wolvie and Angel will be available in the 2013 retail line. Marvel Universe Masters of Evil Team Pack. This one was really out of left field, but man was it awesome. 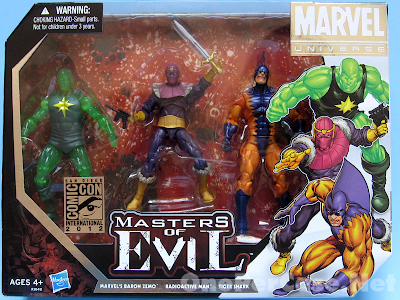 Three key villains in one set. 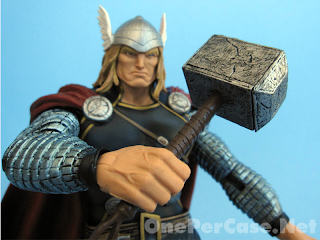 We all know the MU line is a little lacking in villains, and while we all expected more repaints of Cap, Iron Man and Thor, Hasbro actually gave us the unexpected. And the set turned out great. This was one of the few things about the Marvel Universe line that didn't disappoint in 2012. Shockwave Hiss Tank with Destro and B.A.T. Peanut Butter and Jelly. Ben and Jerry. G.I. Joe and Transformers. Few things go better together. This was a follow-up to last year's Starscream Skystriker with Cobra Commander set, and every bit as awesome. The only downside was how quickly it sold out. And it really makes you wonder what cross-over item we'll see next year. GIJCC Footloose. The G.I. Joe Collectors Club puts out a lot of great exclusive figures, but this year's club exclusive Footloose was a new high. Great sculpt, great accessories, and totally worth the cost of a club membership. This, again, made up for the Retaliation mess. And finally, there was one thing that we actually all did agree on with no debate, and that's the single most awesome toy of the year. Masterpiece Optimus Prime. Originally designed by Takara for release in Japan, this is Hasbro's US release, exclusive to Toys R Us. This really is the ultimate Optimus Prime toy. It's a brand new, highly-detailed sculpt of ol' Optimus, complete with his trailer, his gun, his axe, roller, the Matrix of Leadership, and Spike Witwicky. The transformation is great, the colors are perfect, he has chromed parts, and he embodies everything that a Masterpiece release should be. Worth every penny of the price tag. Even if you're not a Transformers collector, there is no denying that this is a completely awesome package. Not one of us could think of a toy more awesome in all of 2012. So that's everything that made our best and worst lists for the year. All in all, it was a pretty great year for collecting. And we've got some really awesome stuff coming up in 2013, which we will of course review the hell out of. Disagree with anything on this list, or have anything to add? Why don't you yell about it in the comments. It can't get more heated than the debate we had with ourselves coming up with this list. Great minds must think alike! Very well written. I agree for the most part though I'm sad to see Bruticus got lumped in with the bad stuff. I still insist he's a great toy. But that's what you meant about opinions and debates. Thanks, Pax. I was pretty "Meh" on Bruticus. He may be a great toy, but he'd be so much better if the five individual bots had a little more mass. And at a retail price of around $80, he just didn't feel worth it to me.